Subject: Create-A-Caption Contest (February 15, 2018) - Lustrously loony amounts of GG to be won! ALL THESE WORLDS ARE YOURS – EXCEPT EUROPA. ATTEMPT NO LANDINGS THERE. "Have you ever done a search for 'WTF' on Google?" "No I haven't, why ever do you ask?" "Because when I did the first thing I got was a photo that looks exactly like the one we're in right now..."
Cover art for the first Japanese translation of The Fountainhead. Life size costumes for Japanese superhero "Plaidman" (チェック柄のパンツの男) and his girlfriend Tessie Torpedo. Crane not included. Having most of his clothes stolen, Seijin attempted to rebuke the angry dust mote. However it was already waging war in a distant galaxy, and left. I got nothing. Excuse me while I go pour bleach in my eyes. Yes...it seems to be...a bleach-blinded osprey. Mary was quivering with anticipation until she realized that Mr. Li was being quite literal when he asked her to 'stroke the crane'. Not to be outdone by Cupid, the stork does his thing 9 months after February 14th. 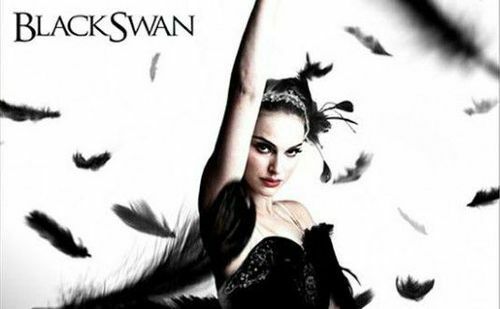 Most people don't know know that the movie "Black Swan" is based on an older Kurosawa film "The Charcoal Sand Crane". Okay, how this is going to work, you grab the heron model by the head, then we'll launch a fish from right over there. Then throw the heron and spear the fish with the beak. Master Daisho pointed at the Moon, humming Don't Stand So Close To Me by the Police; little did he know the blond ninja was preparing to stab him with the Poisoned Claw of Death! Kono! Not another caption contest! Beaky hated going to the beach with Mary. For every time they did so, Mary left with doubts about their human-avian relationship. Beaky knew the following days will be full of quiet sighs and long silences. The famous scene from the movie "Cranezilla" where the Giant Crane asks directions to two Giant Humans. Crane: "Excuse me, could you direct me to a good city to destroy?" Man: "Well your best bet is probably Tokyo. Do you see that mountain off in the distance? That's mount Fuji. Well you go go straight until you reach mount Fuji then you make a hard left. Then keep going until you reach masses of screaming people. You can't miss it." Ahem. I meant the other bird. \Excuse me while I go pour bleach in my eyes. Sung to Purple Haze: "SCUSE ME WHILE I BLEACH MY EYES!" Now, you see those over there? That's what I'm talking about. Symmetrical, see? Both at the same height. Not all fucked-up and lumpy, Steve. "For the next photo, I'm thinking I'm thinking I climb up on that ostrich statue, you put both hands around its neck, and we take those socks out of your blouse & stuff 'em down my shorts." "'Operation Rising Sun' is why we can never go to San Francisco again." "A Man in the High Shorts"
The final round of the World Shag-Marry-Kill Championships left the winner bruised and blinded but well fed. A bird in the hand ... with a bird in the hand? Shunji: "And that beach over there is where the kids used to kick sand in my face before I decided to bulk up." "See that rocket? They're sending a Tesla into space. Isn't that odd?"